Have you started thinking of what to get for Mother's Day? 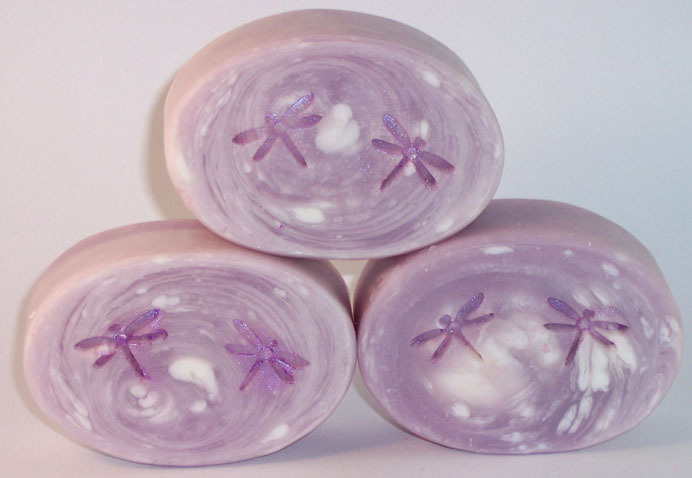 Buy this Lavender Vanilla soap for a perfect gift. Each soap comes in a soap box, ready for gift giving. Full ingredient list is included right on the box. This is a cold process soap that has been cured for over six weeks. It is made with natural ingredients like pure olive oil, coconut, palm kernel and castor. It has also been enriched with mango butter. Each soap is a pretty swirled lavender and white and hand stamped with a purple dragonfly.